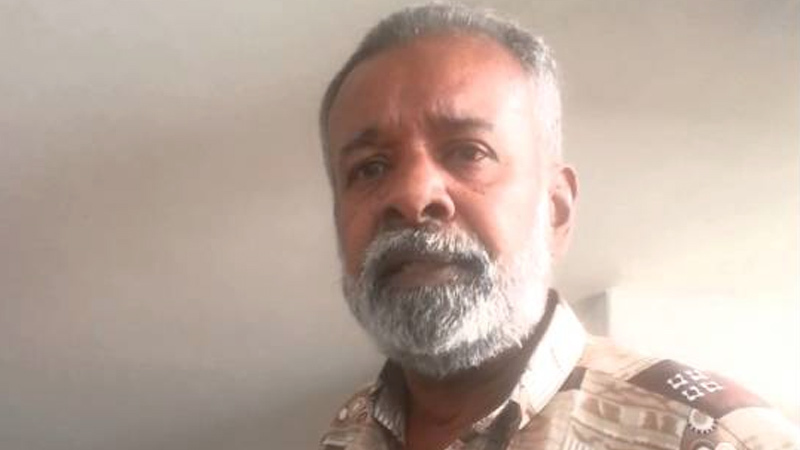 Veteran actor Wimal Kumara de Costa died yesterday. He was 68. Costa died after being admitted to the Kalubowila Hospital, hospital sources said. Wimal Kumara De Costa was best known for characters he played in Ek Tam Ge (1980) , Eya Dan Loku Lamayek (1975), Bambaru Avith (1977), Sagarayak Mada (1980), Siripala Ha Ramanika (1977), Bandura Mal (1981), Maruwa Samaga Waase (1977) and Sihasuna (1974). Though many know him from his work in the movies, Costa (born on July 4, 1948), began his acting career on stage. He performed roles in plays by Sugathapala De Silva and W Jayasiri. Costa appeared in plays Dunna Dunu Gamuwe , Hitha Hondha Ammandi, Puttu, Kawuruth Enney Nahay Kora Saha Andhaya and Nattukarayo. He worked under veteran film directors such as Dharmasiri Pathiraja, Sunil Ariyaratne and Gamini Fonseka. His first film was Dharmsirir Pathiraja’s Sathuro, which was a short film. His first feature film was Ves Gattho, also by Pathiraja. Costa blessed Pathiraja’s film Bambaru Awith with an unforgettable performance playing the role of a socialist. The abusive youth character played by him in Pathiraja’s 1977 movie Eya Dan Loku Lamayek received much acclaim from critics as did his role in Pathiraja’s 1974 Ahas Gauwa. As pointed out by Film Director Bennet Ratnayaka, Wimal Costa had been an iconic actor in the Sri Lankan film chronicle. “He came to cinema long before I became a film director. Costa was an inspirational actor who had done justice to the characters he played. He was one of the most stimulating actors who had the natural orientation, ability, physical expressions and emotional facility for the job of acting,” Ratnayaka said. “I have no doubts that he was an excellent actor of our time,” he added. “The governments, though they have been saying that they are looking after artistes, have only cared for artistes who had supported their political ambitions. To my knowledge Wimal Aiyya (Costa) did not have that kind of luxuary so to speak, “ he reflected . “May this great artiste attain sublime Nirvana,” he concluded. Sad news, I have seen many movies of this great artist in the late 70s - 80s. Great actor, R.I.P! a great loss to the world of Sinhala Cinema. an excellent actor with a great talent. I enjoyed his acting very much. I am really saddened by his demise. He is a distinguished actor with natural talent. His roles were well played. Apart from silver screen he too acted in tele- dramas in 1980s.